My wife (Deannsei) just joined and told me about the site. Here are our bikes, sorry for the fuzziness, we just went out and took them. Flourescent light doesn't really do them justice. Very nice bikes. Welcome to the forum. Welcome. I am running out of ways to say welcome. Very clean, good to see one that isn't stretched, lowered, candied, chromed, blinged, neon, or what else people do to them. lol. Looks good man. Stubey wrote: Very clean, good to see one that isn't stretched, lowered, candied, chromed, blinged, neon, or what else people do to them. lol. Looks good man. 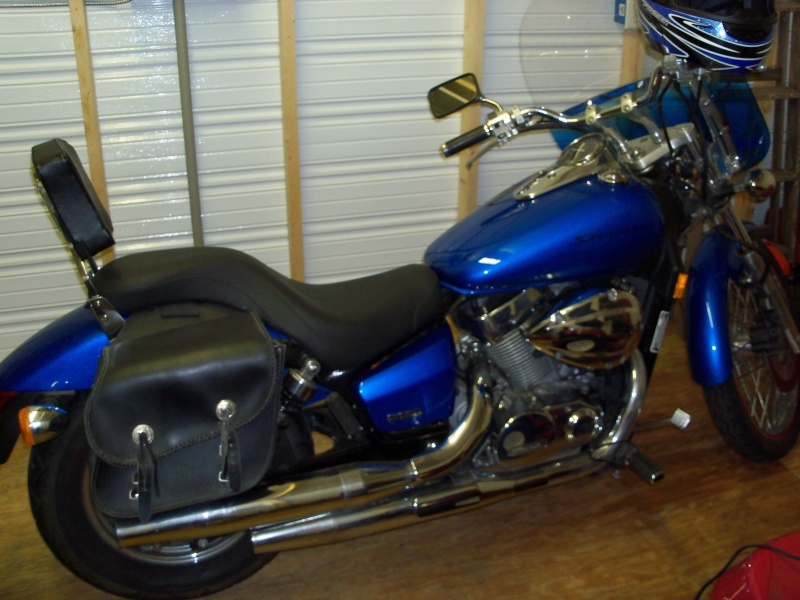 I took some better pictures today of Deannsei's bike (my wife) and mine and put them in "The Garage" area of the forum. Flourescent light at night with a not-so-great camera doesn't do her justice. You'll never catch me stretching and/or lowering her. It drastically effects cornering capability and handling characteristics. The only advantage that brings is that it helps keep the wheel down during a hard launch. But, I have no intention of drag racing with her. I use her as a super-sport tourer and all-around fun machine. Thank you!!! Finally a 'busa rider that isn't a complete goob. lol. Although I must say, I've taken my bike over to Mobile Dragway and it was hella fun on the drag strip. My bike looked like a dirt bike next to all the busa's and zx14's. Nice bikes dude! You're one of the few people who use the 'busa as it was intended to be used. And your wife has a shadow?!? You guys both are going into my "cool book." two points on the use of the 1300, I cant see the pics for some reason but I'll take there word for it. I used to post here a long time ago. I'll reintroduce myself since it's been about a year and a half since I've posted. Half the crap in my intro no longer applies. I no longer live in Satsuma, I now live in West Mobile. I have two bikes. 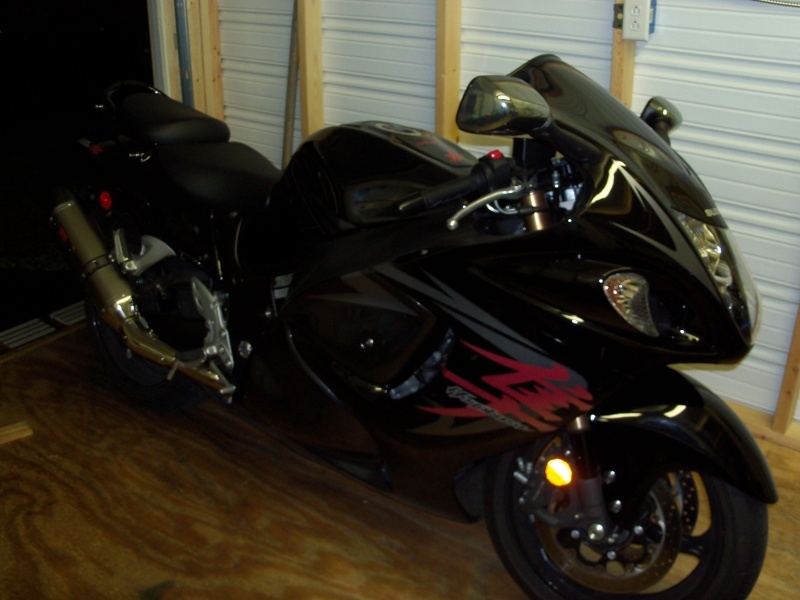 A 2009 Victory Vision and a 2011 Suzuki Hayabusa. Hey Ted. Glad you came back. Nice Busa. Welcome back Ted......Your new life status is similar to mine. When I joined in 2010 I was married and on my 1st bike. Now 5 bikes later I'm being divorced but still living in my home. (not because of bikes) LOL I am starting to realize I have been given a second chance to be happier. I hope you are feeling the same way now. Hope to meet you soon. welcome back, hope you don't mind us old guys with old harleys riding the roads. ex-navy and air force myself, again welcome and some really nice bikes..i like the hybusa..
We'll have to meet up and ride man. OHHH BUSA! I like it. Welcome to the site.